You know that Jay Gatsby knew how to throw one swell party, and have probably pined a time or two for missing out on those glamorous days gone by. 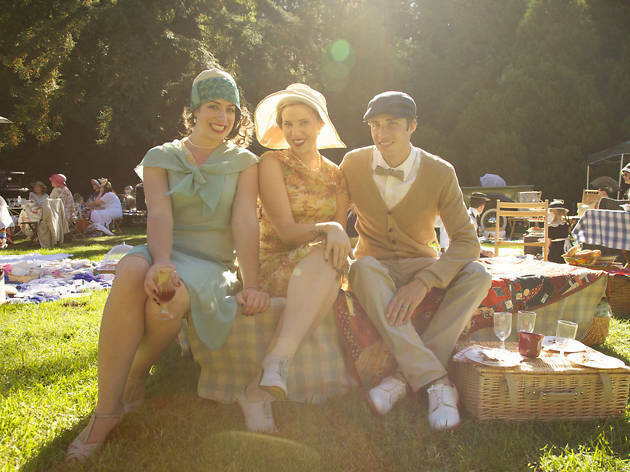 The Art Deco Society of California understands the appeal of this more gracious, glittery era, and so each late summer throws together an afternoon bash you simply must see to believe. All attendees must acquire period-appropriate attire (you know you already have that dazzling shift hanging in the back of your armoire, darling) as well as pack a period-appropriate lunch (don’t worry, all the how-tos are on the web site). 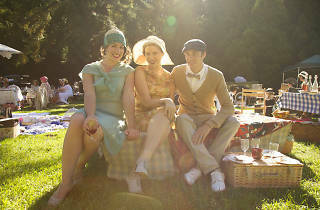 An opportunity to explore the grounds of Oakland’s Dunsmuir Hellman Historic Estate makes it all worth the bother.